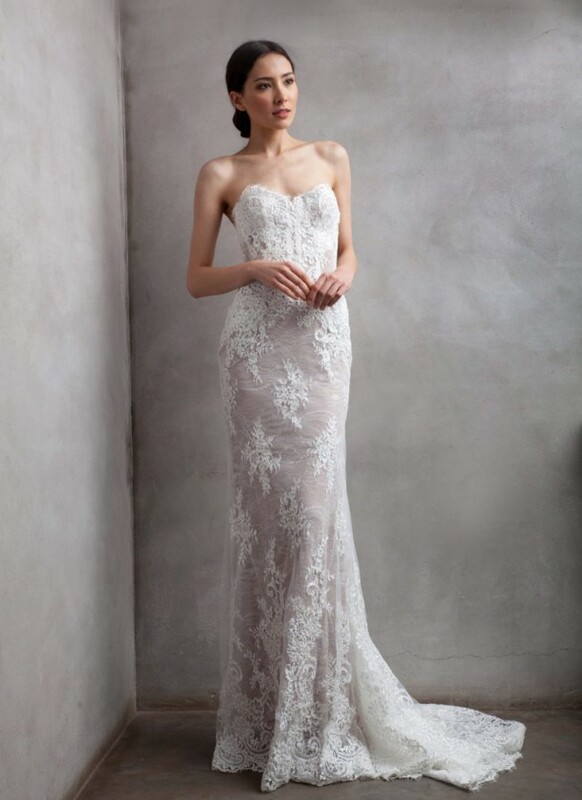 Beautiful romantic ivory/white lace wedding dress by designer Anna Georgina and Kobus Dippenaar, bought from exclusive wedding boutique Morgan and Davies in London. It has beautiful lace and beading work, with a long boned corset inside. The dress was made to measure, but I am a size 8. Further alterations could easily be made. I also purchased a belt with it, which is also for sell. Please let me know if you are interested.